Syrian refugees on Greece-Macedonia border. Photo: Amnesty International. Those were the words of one Syrian refugee to BBC's Channel 4 recently after Macedonian police attacked desperate families seeking entry into the country along the border with Greece. 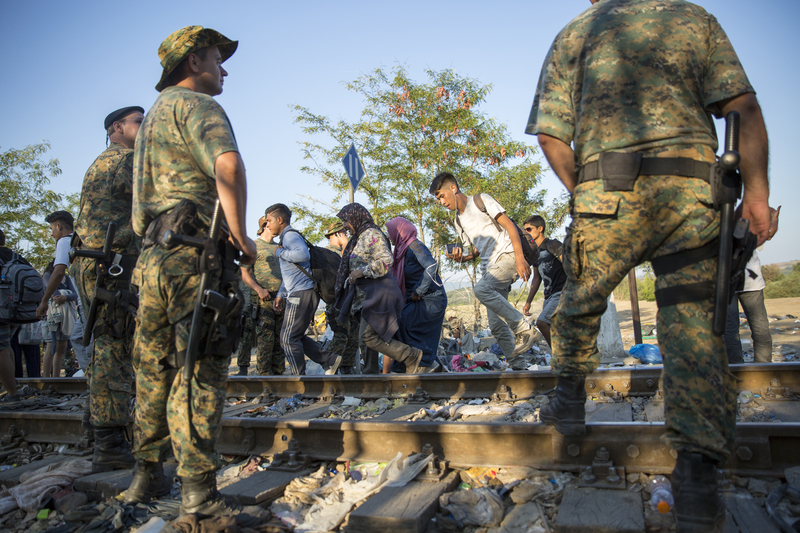 The refugee crisis has grown to immense proportions. Tens of thousands of people have flooded into the Balkans in recent weeks. The one thing neoliberal touts want us to forget is that the effects of the Global Financial Crisis of 2008 have never been overcome – and are still felt today. There is no such thing as everlasting “natural growth” in the world economy. As John Maynard Keynes long ago pointed out, capitalism “seems capable of remaining in a chronic condition of sub-normal activity for a considerable period without any marked tendency towards recovery or complete collapse”. 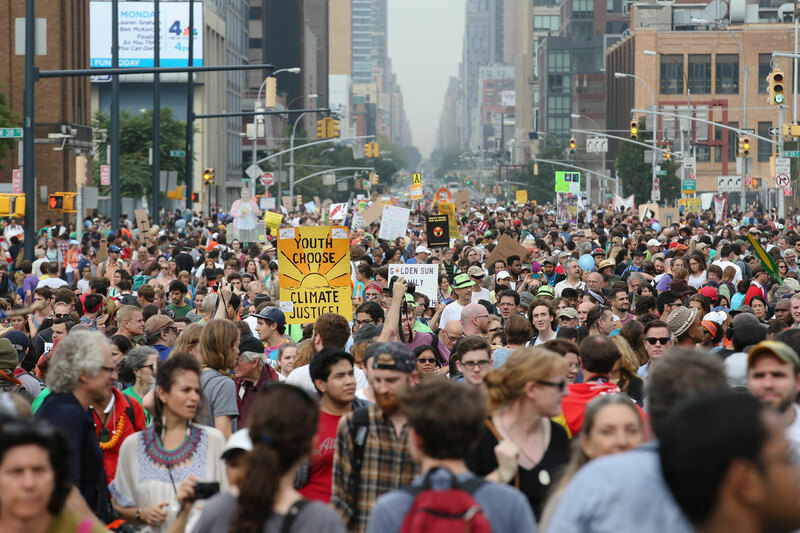 About 400,000 people marched in New York last September as part of global 'people's marches' demanding climate action. Desmond Tutu, Naomi Klein and Noam Chomsky are among a group of high-profile activists, academics and political figures who issued a call to action against climate change on August 27. Palestinians in Gaza’s Jabaliya refugee camp demand the rebuilding of homes destroyed during Israel’s 51-day assault on the territory last year, June 15. Until July, not one of the homes destroyed during Israel’s assault on Gaza last year had been rebuilt. Why? The statement below was released by Palestinian BDS National Committee on August 25. Is this the end of Australia's steel industry? BlueScope Steel announced a full-year profit of $136.3 million on August 24. This is an improvement on last year’s loss of $83 million, but not by much compared to past profits. The results were released on the day the Australian share market suffered its worst fall since the global financial crisis, yet BlueScope’s share price went up by almost 9%. Human-caused global warming has worsened California's extreme four-year drought by as much as 25%, says a new study that is just the latest to link the abnormally dry conditions with human-caused climate change. The study by Columbia University's Lamont-Doherty Earth Observatory, published on August 20 in Geophysical Research Letters, suggests that within a few decades, continually rising temperatures and resulting moisture losses will push California into even more persistent aridity.